It wouldn't be a holiday without packing lots of essentials and by essentials I mean a mountain of beauty products I probably don't need and can buy out there. Anyway... with packing on my mind, I thought I'd share exactly what I'll be packing for my sunshine getaway to keep looking and feeling great. 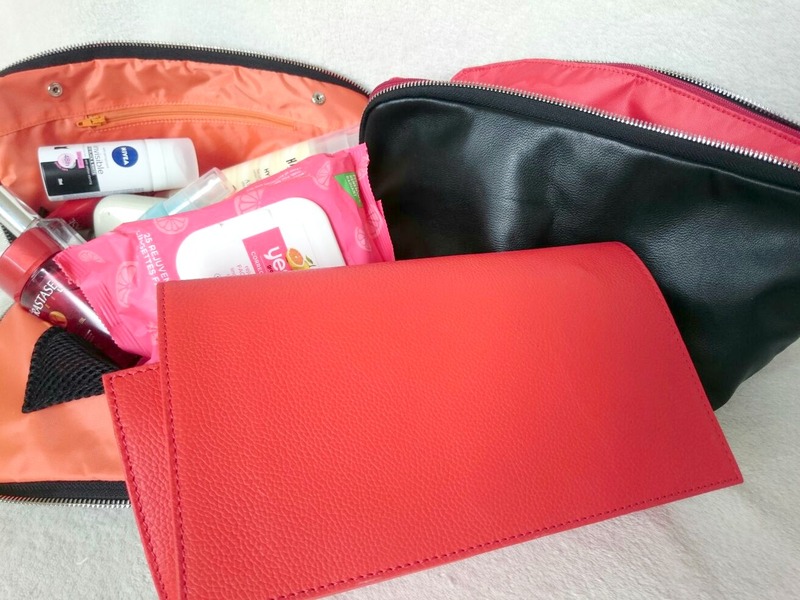 From hair to skin and sun protection, I've got it all and thanks to my handy travel bags from Kusshi, everything will be packed neatly and I'll know exactly where to find everything if and when I need it. Kusshi keeps all your products in place whether you're jetting off for a city break or spending a week on the beach. The Brush Organiser has a pocket for just about everything so all your brushes and beauty blenders stay clean, bent free and intact. The pouch is removable so you can either carry your things in the clutch or pop it into the Make Up Pouch which is so much bigger than it looks. I always get my make up and wash bags really messy because of foundation lids falling off or mascara getting on everything so with these bags being washable and stain resistant, it's kinda a blessing in disguise. 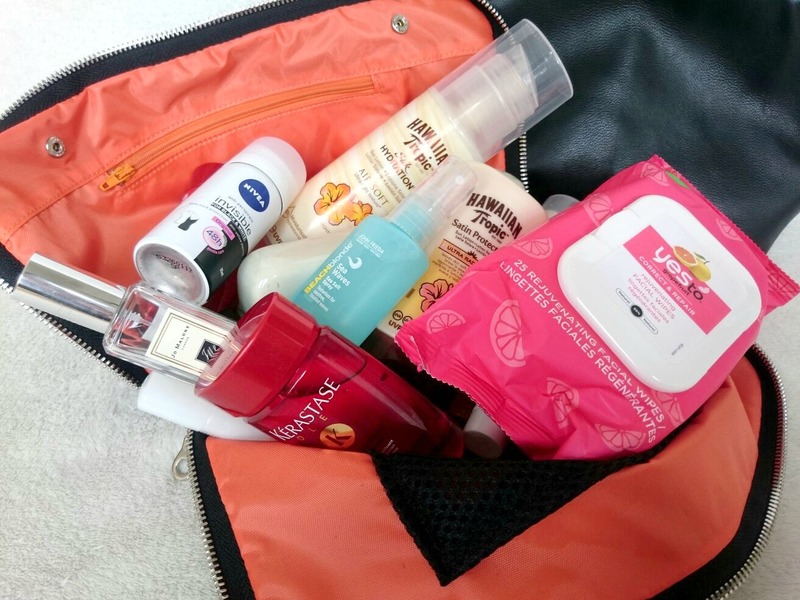 If you're a frequent traveller then you need to invest in one of these lifesavers. As I said above, I've been filling my Kusshi bags with anything and everything. 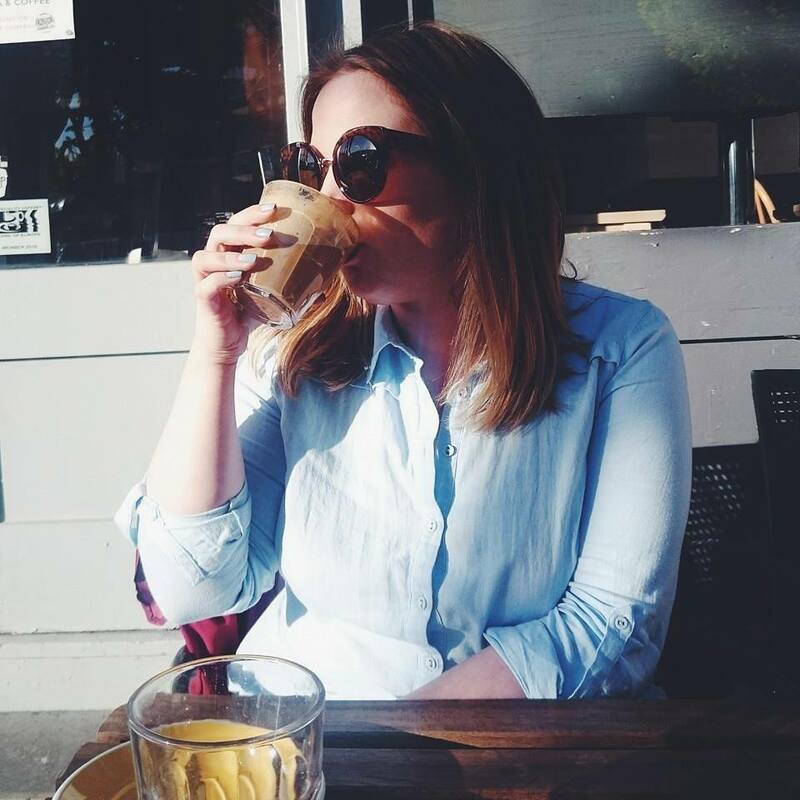 Sun protection is a must for me as I'm so milky white and burn after seconds, so I'm packing Hawaiian Tropic as my sun protection of choice this year, it's light on the skin and smells incredible. The Hawaiian Tropic After Sun and The Body Shop Soothing Aloe Gel will also come in handy for any burnt bits. I go everywhere with my Bee Good Raspberry & White Chocolate lip balm so to inject some summer vibes I'm packing the Lime Blossom & Honey balm to keep my lips moisturised, protected and soft. Hair protection in the sun is just as important as skin protection and thanks to my Kerastase Soleil travel minis I should have lusciously protected locks. The Anti-Damage Shampoo and Complete Care Cream* both smell like summer in a bottle too. I've also packed John Frieda Sea Waves sea salt spray for easy waves for cocktails in the evenings. Deodorant is Nivea Invisible with a spritz of Jo Malone Wood Sage & Sea Salt as I feel like it's such a beach holiday scent. I'm keeping skincare really simple with the Yes To Grapefruit Rejuvenating Facial Wipes which I won recently, followed by the Dior Gentle Cleansing Milk and Instant Eye Make Up Remover. I also have Espa's 24 Hour Replenishing Moisturiser, Eye Moisturiser and Optimal Skin ProSerum. Anything I need or I've forgotten I'll probably buy out there as I love a good mooch around Spanish supermarkets. 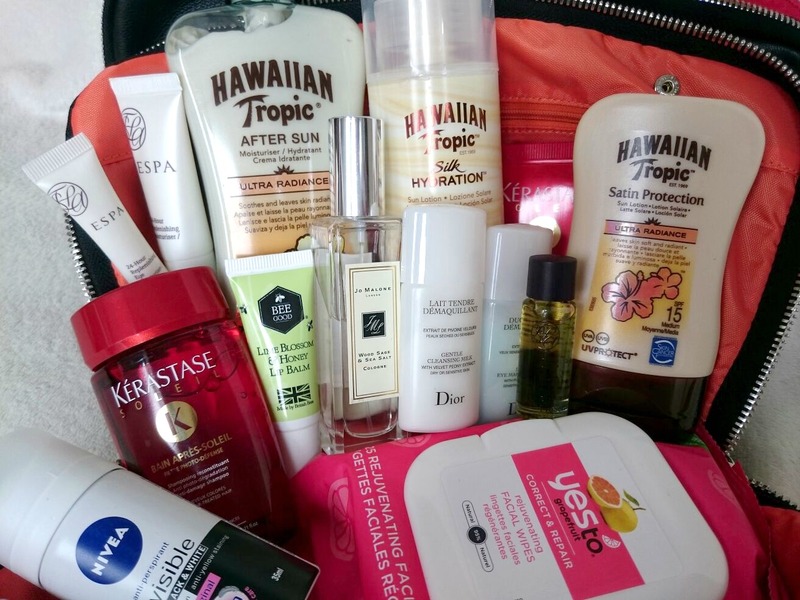 What are your beauty essentials for travelling? Oh wow where can you get the mini Kerastase? I need it in my life!! 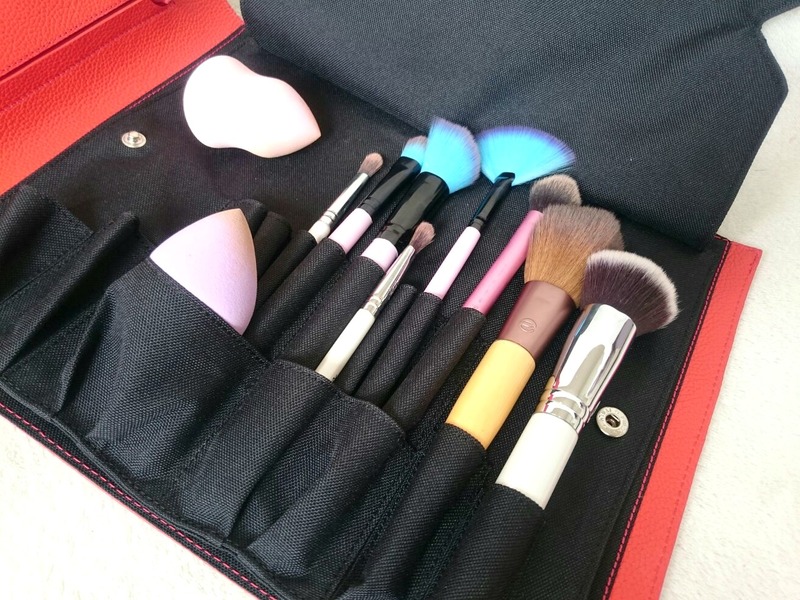 That brush bag looks amazing! I usually store mine in a plastic bag when I go away, so I'm definitely going to have to get one!